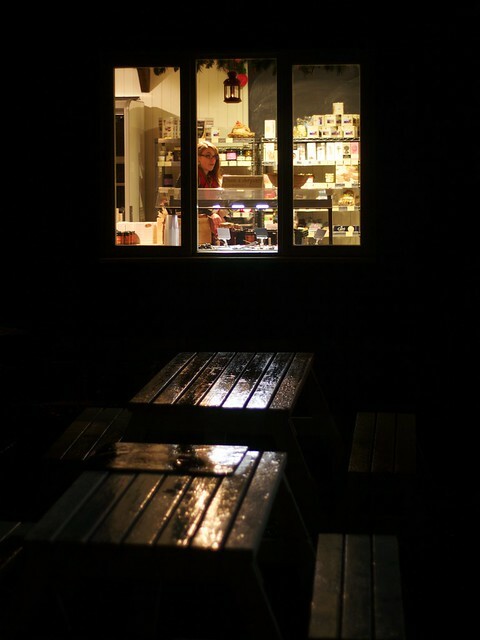 A rainy night at Gog Magog Hills farm shop – one of my favourite local haunts. In a box in the loft I found my old Olympus OM30, which I purchased a little over a quarter of a century ago: an OK, but never great, camera. With it, however, were a couple of Olympus OM-series Zuiko lenses, which were pretty good for the price. And I was delighted to find that you can get adapters to connect them to a micro-4/3 body like my Panasonic Lumix GH2. You can buy the adapter from Olympus for £143 or from Fotodiox for £29. I chose the latter. My first few experiments with the combination are here.